Both of the major gubernatorial candidates have rolled out their education platforms. "Both of the major party candidates for governor are pushing education platforms that we might call 'big ideas' that appeal to their base," said Sherman Dorn, an education policy expert at Arizona State University who previously taught at the University of South Florida. "Whether or not those ideas would happen in practice is an entirely different question." Listen here to WLRN education reporter Jessica Bakeman's discussion with Sundial host Luis Hernandez. Tune into Sundial on WLRN at 1 p.m. Monday through Thursday. Throughout DeSantis' primary campaign, the former congressman endorsed by President Donald Trump repeated his intention to "stop" Common Core — a controversial set of academic standards that determine what students learn in each grade, in Florida and many other states. 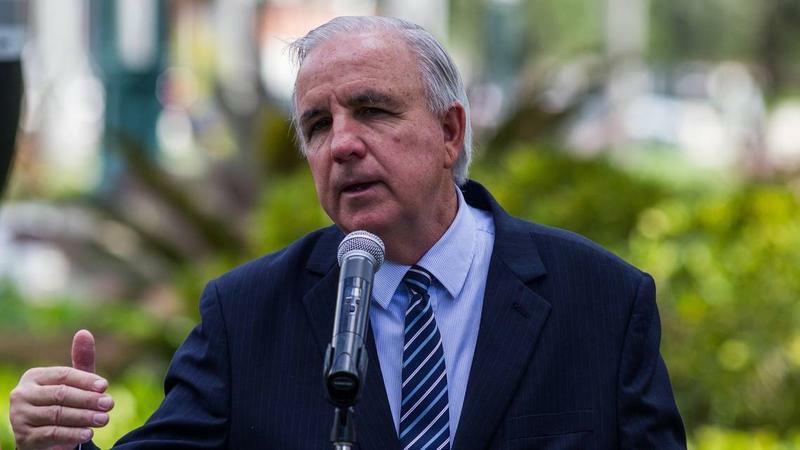 He has since fleshed out his education platform in more detail — and pulled back on that claim — vowing to direct a thorough review of Florida's academic standards and pursue changes where he deems necessary. Whether any eventual changes end up being aggressive or limited, touting this priority during the campaign could help DeSantis by reigniting conservatives' distrust of the Obama administration. The former Democratic president's signature education policies encouraged the adoption of Common Core, stoking concerns about federal overreach into classrooms. But Florida's version of the Common Core — which was modified and rebranded under Republican Gov. and U.S. Senate candidate Rick Scott — is thoroughly integrated into practically everything that happens in a classroom. A complete overhaul would likely be time-consuming and costly, experts say. "Supporting the implementation of a new set of standards statewide, if taken seriously, is an expensive undertaking," said Martin West, a professor at the Harvard Graduate School of Education and a faculty research fellow at the National Bureau of Economic Research. "That's one of the reasons why you've seen many states that were already well down the path of implementing Common Core and decided to disassociate themselves from the effort end up making mostly superficial changes." The primary education goal for Gillum, who is mayor of Tallahassee, would face arguably even more significant hurdles: chief among them the Republican-led Legislature. Mandating a $50,000 starting salary for teachers would also be an expensive proposition — and he'll face fierce ideological pushback from Republican lawmakers on both of the ways he plans to pay for it: increasing business taxes and legalizing recreational marijuana. Gillum's plan also constitutes a dramatic shift in how school finances are managed, creating tension with local school boards. In fact, it raises concerns even among some of his key supporters: teachers' unions. But Gillum's campaign follows a nationwide wave of teacher activism and occurs alongside local efforts in several counties — including Broward, Miami-Dade and Palm Beach — to increase property taxes in order to pay educators more. "I think it absolutely can be something that motivates people to go the polls," Joanne McCall, president of the Florida Education Association, said of Gillum's education platform. FEA is a statewide union that has endorsed the Democrat. 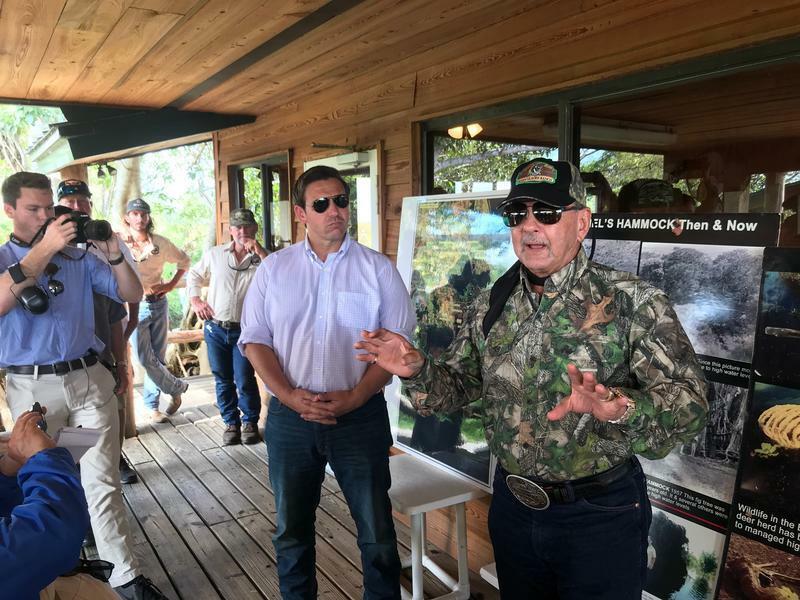 Former Congressman Ron DeSantis on a recent visit to the Everglades. One of his education priorities as a GOP gubernatorial candidate is to "stop" Common Core in Florida schools. 'STOP' COMMON CORE: HOW — AND WHY? During two major televised events before the Aug. 28 primary election, DeSantis had to pause for applause after name-dropping the Common Core. This was part of his closing argument during a debate with his primary opponent, Agriculture Commissioner Adam Putnam, in late June: "We have a great opportunity to build off the success that Governor Scott had by expanding economic growth and job opportunities, reforming our education system — including opposing Common Core," DeSantis said, as the crowd roared, "and then appointing conservative justices to the state Supreme Court." Then, about a month later, President Trump headlined a rally for DeSantis in Tampa. There, DeSantis said: "We can improve our education system by stopping Common Core …." He waited for the crowd to finish cheering, and then continued, " … by giving every child, regardless of circumstance, the ability to attend a good school, and by getting the Constitution back in our classrooms in a very big way." DeSantis' focus on the Common Core comes years after the height of the controversy over the standards. But, judging by the applause from his supporters, feelings of resentment over the Obama-era shift in education policy still resonate among Republican voters. About five years ago, people on both sides of the aisle were complaining that the Obama administration was too heavy handed on education policy through its competitive grant initiative, Race To The Top. Florida was among the states that won hundreds of millions of dollars in the competition at a time when school systems were hurting for funding because of the recession. President Obama did not mandate the adoption of the Common Core. But he did encourage and incentivize it. Using academic standards like the Common Core — which were designed to prepare students for college and careers — was a requirement of accepting the Race To The Top grant funding. So most states did it, including Florida. The shift was unpopular among parents — especially as states rolled out tests that were aligned to the Common Core and lots of kids failed them. So here and in other states, policymakers made some slight changes to the Common Core and then rebranded them — in our case, renaming them the Florida Standards. The Common Core outlines what students should know in each grade; for example, third graders should learn how to compare fractions, and high schoolers should read a Shakespeare play at some point. Florida leaders' made two major changes: They added a requirement that students learn cursive writing and included a set of calculus standards. But since about 2015, the uproar over the Common Core has largely blown over. "You'll see a number of states have started to customize their standards a bit more," said Michelle Exstrom, education program director at the National Conference of State Legislatures. "You aren't seeing any states completely moving in a totally different direction." DeSantis seems to be resurrecting the animus over the Common Core. Some argue that's purely about politics. "What Mr. DeSantis is doing is using this primarily as a rhetorical claim to gin up his base, and that's pretty common for gubernatorial candidates, even where governors don't have a huge amount of authority," said Dorn, the ASU professor. The DeSantis campaign did not respond to multiple requests for an interview on why the candidate opposes using the Common Core standards. But since the primary, he has scaled back his claims about "stopping Common Core" — now saying he wants to "direct a complete review of Florida’s curriculum standards to ensure that we are not rubber-stamping Common Core." A reversal on using the standards — which DeSantis promised during the primary — would be expensive and difficult at this point. Now, most of the materials for teaching and learning are based on the Common Core: curriculum, testing, textbooks. Even the SAT has been redesigned to align more closely to the standards. But reviewing the state's standards and making minor changes would be routine. "The most likely outcome under a Governor DeSantis would be to see continued modest tweaks to the standards," said West, the Harvard professor. "And gradually revising standards in an ongoing way is a standard practice in American education — so, not much of a departure." Erika Donalds said she's expecting a "measured" approach rather than an outright replacement of Florida's academic standards. Donalds is a school board member in Collier County who founded a statewide association for conservative school board members. She was an influential voice regarding education issues on the Constitution Revision Commission. And her husband, Byron Donalds, is a Republican member of the state House. "I don't see it as sweeping changes, but perhaps a sweeping review," she said. 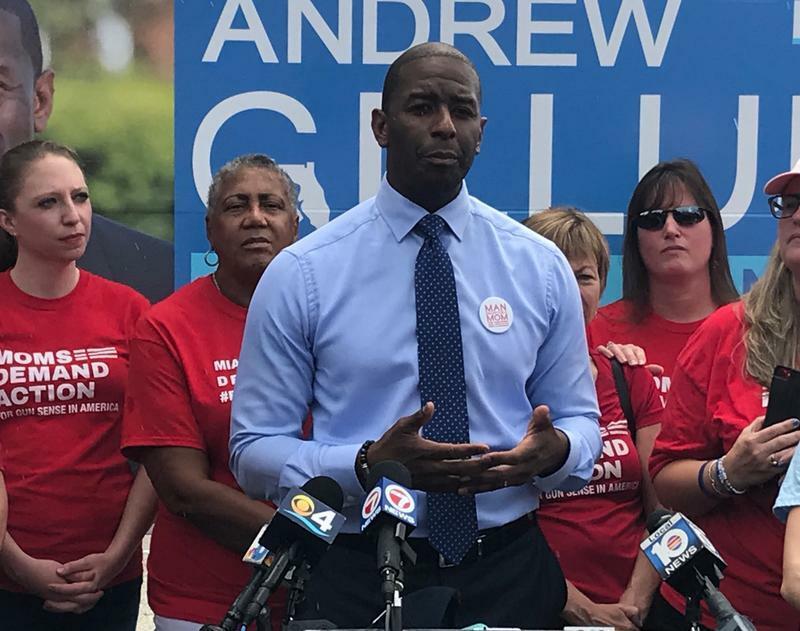 Tallahassee mayor Andrew Gillum advocated for gun control during a recent campaign event in South Florida. The Democratic gubernatorial candidate has made teacher pay the center of his education platform. IS $50K FOR NEW TEACHERS POSSIBLE? Gillum's focus on teacher pay is very much of the moment. It follows a number of strikes, walkouts and protests in many states — most of them red. Teachers demanded more education funding in general and better pay and benefits specifically, and in some cases, got it. And with looming teacher shortages in most states, it remains an urgent national issue. "Generally the conversations around how to recruit and retain high-quality teachers is one of the top issues that we keep hearing from state legislators," said Exstrom, the education policy expert with the National Conference of State Legislatures. "They feel like that will be at the top of their agenda for the 2019 legislative session." While teachers in Florida were hesitant to strike because of severe potential penalties like losing their jobs or their pensions, they were successful in pushing counties all over the state to go to voters for more local school funding. Gillum has said he would raise $1 billion more for public schools. He presented his education platform during a Tallahassee news conference earlier this month, calling teacher pay in Florida now "a disgrace" and "an embarrassing indictment" of the state's public school system. Gillum did not agree to an interview for this story, either. His plan would dramatically raise teacher salaries in Florida. Right now, the average starting teacher here makes about $37,400. That's about $1,200 less than the national average and puts Florida in the middle of the pack, according to a survey by the National Education Association, a teachers' union. In South Florida, starting salaries are higher, around $40,000 or $41,000. Only New Jersey and the District of Columbia have average starting salaries above $50,000. So if Gillum got his way, new teachers in Florida would earn more than their counterparts in places like New York and California — which have income taxes and, depending on the region, higher living costs. But what Gillum and public education advocates point out often is that Florida's average teacher salary is significantly lower — by nearly $10,000 — than the national average, which is around $50,000. So Gillum wants to set the starting salary for first-year teachers in Florida at the national average for all teachers. It's also worth pointing out that $50,000 goes a lot farther in Florida's rural counties than it does in coastal communities. And, as West pointed out, mandating a minimum pay rate for new teachers could mean bumps in all teachers' salaries — which are among school districts' biggest expenses. "Even if it were limited only to new teachers, you would expect it to put upward pressure on teacher salaries across the distribution of experience," he said, "because, at the local level, unions are generally very interested in preserving substantial differences in salaries related to teachers' experience." Donalds, one of the prominent conservative voices in Florida education policy debates, questioned the feasibility of Gillum's plan. "I would liken this to someone running for student council president and promising free ice cream every day," she said. "It sounds great, it makes everyone feel good. But he has no way of actually implementing it." Donalds' main point is a pressing question for Gillum: How would he get his agenda through the Legislature? In a statement, the incoming Senate president scoffed at Gillum's hopes of increasing corporate taxes. Sen. Bill Galvano, a Republican who has worked directly on the education budget, said his own record on increasing funding for schools is "clear." He cited bumps for public schools in recent years, which Scott and legislative leaders have labeled "record" support despite pushback from union leaders that funding hasn't kept up with inflation. Of Gillum's plan, Galvano said: "Mayor Gillum’s proposal to raise taxes on businesses in order to increase education funding would be a step backwards for Florida families whose livelihood depends on a thriving private sector." Rep. Jose Oliva, a Miami Republican and the incoming House speaker, did not respond to requests for comment. McCall, the teachers' union president, argued Democrats could pick up seats in the state Senate, helping Gillum's priorities in that chamber. 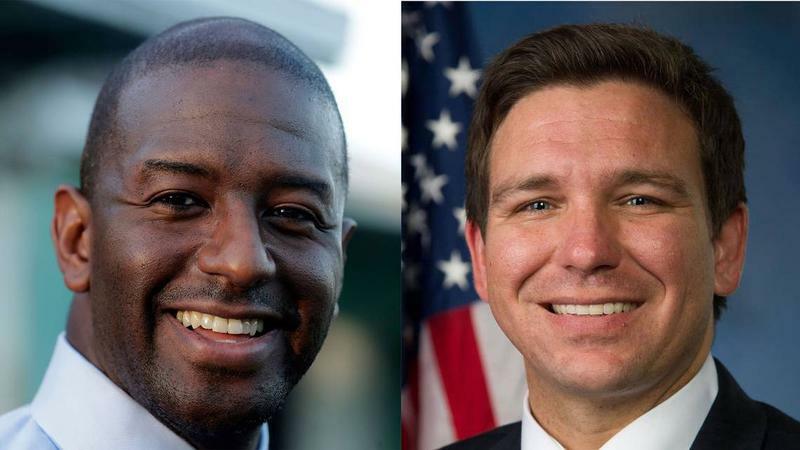 With or without new Democratic senators, "as governor, [Gillum] would also have the power of the veto — and the power of the veto is pretty powerful," McCall said. Scott demonstrated that fact when he called a special session in 2017 to force lawmakers into increasing education funding. Gillum's plan puts him in potential conflict with teachers' unions, which otherwise support him and welcome an infusion of cash into public schools. There are other states where starting teacher salaries, or salary schedules, are mandated at the state level. But that tends to be in states that don't allow collective bargaining. And Florida does. Unions don't want to lose their power at the negotiating table. "We absolutely want to raise teacher salaries all across the board — not just beginning teacher salaries, everywhere," FEA president McCall said. "But what we really need is a governor that will put money into the education system and go back to the locals so that locals can negotiate their salaries. "If [Gillum] wants to start everybody at [$50,000] and then us negotiate from there," she said, "you know, I guess that's a starting point."